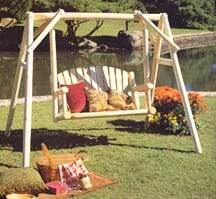 Our 4' American Garden Swing, made from white cedar, will be a beautiful piece of outdoor furniture in any yard. Be the first one in your neighborhood to enjoy those sunrises and sunsets in style as you swing through the cool night breeze with your special someone. 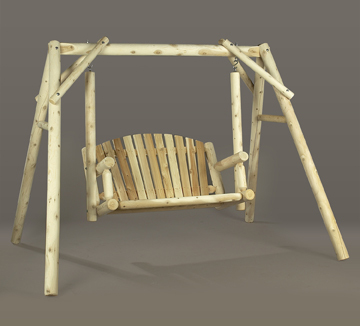 Built for two, its durable hardware and sturdy frame construction will support up to 450 lbs. "Thanks so much for your great service and speedy shipping. Received my new swing and bench seat yesterday.Both were easy and quick assembly and look great. Could not find a better product or lower price anywhere. Thanks again Carl"